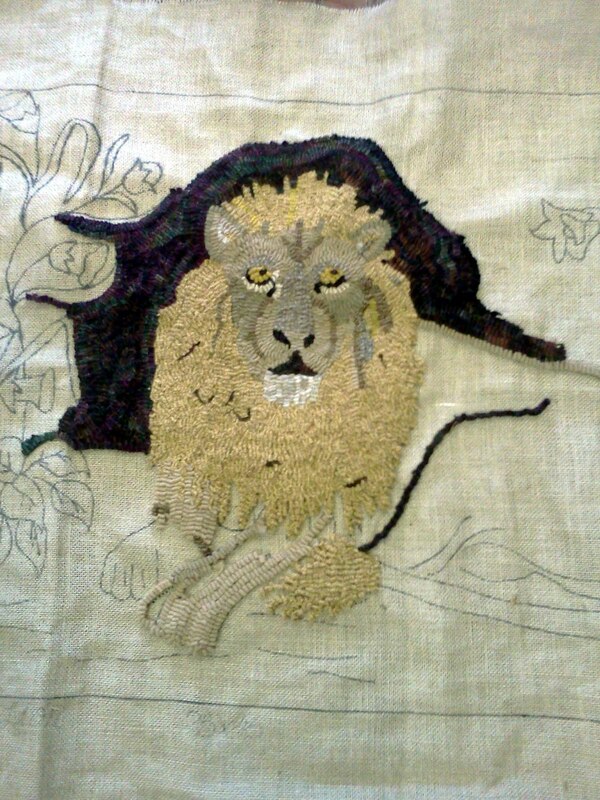 I didn't get as much done on the lion as I expected to last night. A man came into the store wearing a big Russian fur cap, so he said "Hello" in Russian, and I said, "How are you" back, in Russian - the full extent of my high school Russian. We had quite a conversation, turns out he was a student, in fact, the class president, at University High back when I was a teacher in the same building. I was teaching first grade in University Elementary, almost 45 years ago. He came back a second time and brought with him a book of Edgar Guest poems -- a book he had taken from the school library way back when. Since the school has been closed since 1970, he felt giving it to me was as close as he could come to returning it to the school library. Talking with him reminded me of a lady who had been the much admired school librarian, Ms. Sarita Davis. She was the most caring and dedicated librarian I've ever met. She encouraged me to write stories for children, was even going to send one of my books to a publisher, when she literally dropped dead in the hallway walking between the high school and the elementary libraries.